PlayStation 2 PS2, Playstation 3 PS3, Playstation 4 PS4, PSP, Xbox, Xbox 360, Xbox One, Nintendo, Nintendo Wii, Nintendo Wii U, Nintendo DS Lite, Nintendo DSi Nintendo XL and many more. Yellow light of death (YLOD). Blue ray Disc Laser or Drive Replacement. We fix all kind of issues with your Xbox. 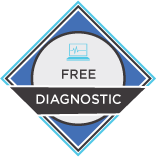 .Whether there's a minor malfunction or major damage, you need a qualified technician who can diagnose the problems and make the necessary repairs. Looking to get your Nintendo fix! You've come to the right place. We can fix all kind of issues.Whether there's a minor malfunction or major damage, you need a qualified technician who can diagnose the problems and make the necessary repairs. At Techbuy we proudly stand behind our products and services. We exclusively use high-quality parts for Cell Phones, Computers, and even Tablets. 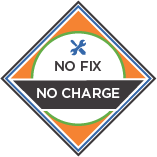 All our repairs and services come with a warranty and strive for 100% customer satisfaction. 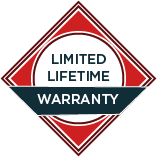 At Techbuy we offer a limited lifetime warranty on all of our repairs.If the original repair fails because of the quality of a part we installed or due to the workmanship in the repairing of the device, we will fix it for FREE.No question asked.You can't beat our warranty with any other competitor. Quick turn around time on most repairs. Warranty on all parts and labor. You can buy Screen protectors, phone holders, cables, chargers, and gadgets all under one roof.